Patty Sadallah has a Doctorate of Ministry in Christian Leadership from Christian Leadership University. She is passionate about showing people how to encounter God personally so they may live their lives through faith in Jesus by the power of the Holy Spirit. Her mission is to bring the message of the Realness of God and the practicality of the Christian Faith to the masses by using media, the language of this generation. Dr. Sadallah is on the faculty of Christian Leadership University serving doctoral students. Additionally, she aids Dean Patti Virkler as a Curriculum Designer for the University. She has authored Clips that Move Mountains, a Discipleship book which includes 23 film clips, and Journey to the Abundant Christian Life, its Bible study companion. Her most recent book, How to Live a Worry-Free Life is book 1 of the Just Ask Jesus series. She has more than 30 years’ experience serving faith-based non-profit organizations and small groups as an Organization Development Consultant, Coach, Facilitator, Trainer and Bible Study Leader. Patty and George have been married since 1986 and have three lovely Daughters; Jamael, Leah, and Noelle. They have one granddaughter, Eden by Jamael and her husband Nick. Check out more about Patty and her ministries by visiting her website: www.PattySadallah.com. 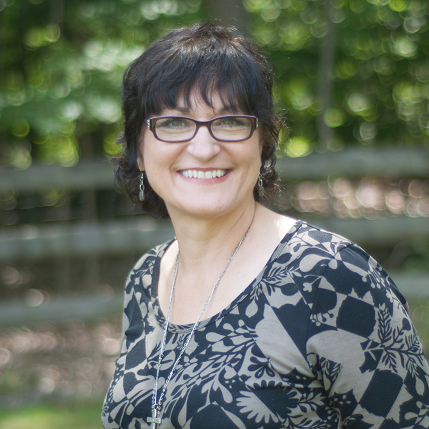 She is available for speaking, teaching and facilitation related to discipleship for individuals, small groups, organizations and multi-organizational planning needs.